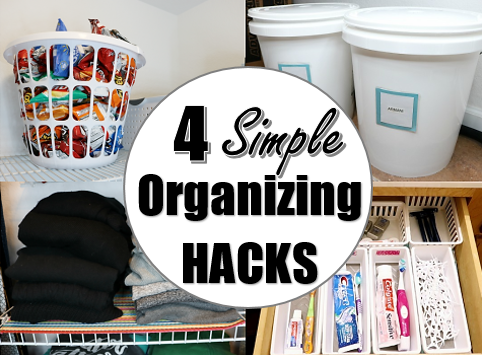 The following is a guest post with 4 simple inexpensive organizing hacks from regular contributor, Kristin at The Gold Project. Before we get into today’s post, let me define an organizing hack. 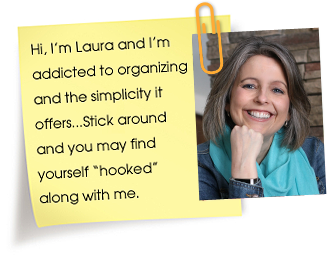 In this post, I am referring to an organizing solution that I am using in a nontraditional way. For instance, a kitchen item in a bathroom. I didn’t realize I had organizing hacks in my house until this past weekend when I found a solution for a laundry basket. So, after some thought, I realized I had several in my home that I wanted to share today. Last weekend, I decided to clean out my pantry. This is a task that has to be tackled every couple of months because my system gets thrown off over time. This time around, my biggest area of concern was my chip basket. The original chip basket I was using was way too small, so I made it my goal to find a new one while grocery shopping. 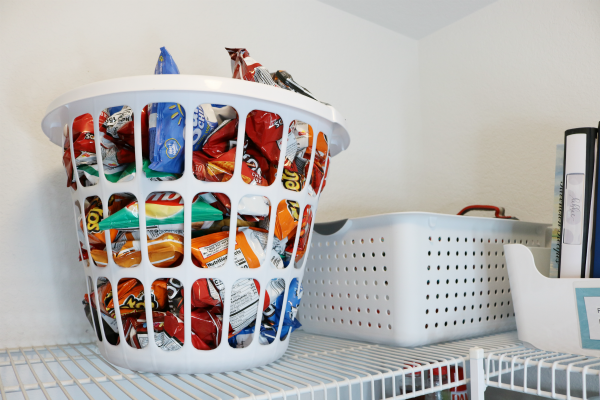 My face lit up when I ran into a small laundry basket that was the perfect size for a chip basket. I purchased this one at Wal-Mart for $1.77. I thought I would spend a lot more than that, so I was pleasantly surprised. And, I love that it has holes all the way through it so we can see the chips. Side note: I have it on the top shelf so my kids can not reach it. If it was at the bottom of the pantry, they would be attempting to eat chips all day. My bedroom closet is made of white wire shelves. 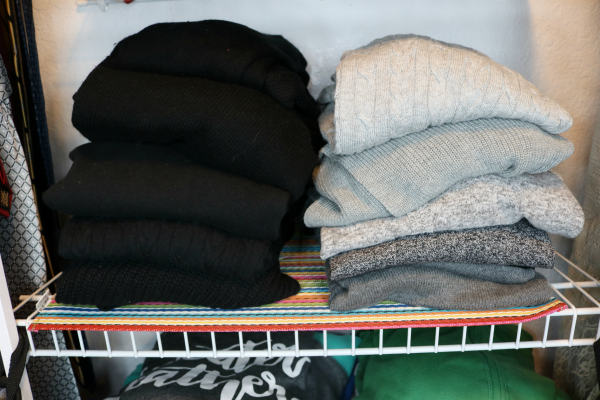 For the longest time, I folded and laid my sweaters across the shelves without thinking twice about the nice lines that would form in them. After a few times of dealing with the lines, which were almost impossible to remove without washing the sweater again, I came up with a solution. I grabbed some old placemats from the kitchen, cut them down, and placed them on the top of the shelves. Problem solved! No more creases in my sweaters. Who said silverware organizers are only for the kitchen? In my home, we also use them in the bathroom. 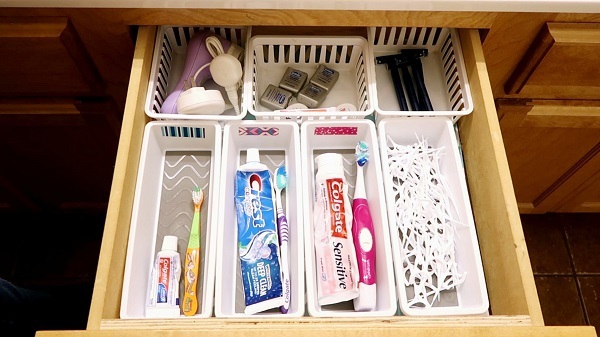 Each person has their own section in the bathroom drawer for their toothpaste and toothbrush. Now, the major problem is trying to keep my kids out of my toothpaste. 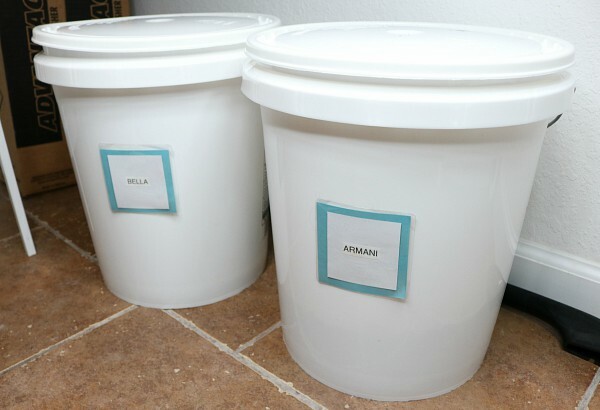 When I was reorganizing my pantry a few years ago, one of my goals was to get my pets new food containers. I wanted them to look cute, but to be functional at the same time. My pantry was all white, so I preferred to have a white container. I was walking through Wal-Mart when I spotted some very inexpensive paint buckets that were the perfect size. 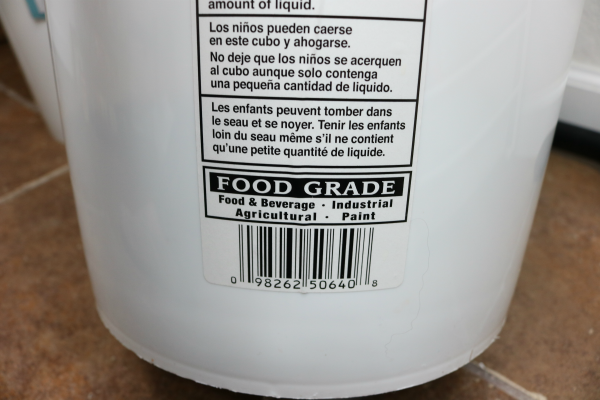 I checked the labels and they said, “food grade.” A big score for me. They were white, inexpensive, and the perfect size. 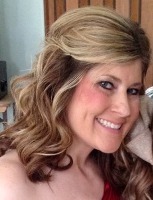 Note from Laura: I love this hack so very much!! I used something similar from a smoothie place in my kitchen as large flour and sugar containers. 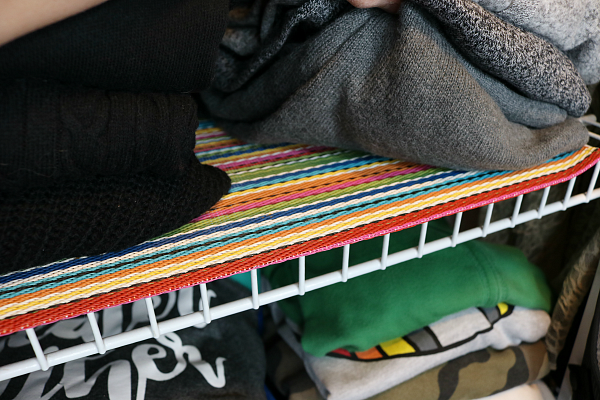 What organizing hacks do you use in your home? I hung a clothes line across my pantry with binder clips strung on. I use it for all my chips and snacks that come in bags. It frees up a lot of space.